Q. Can you help me find a book about...? Our Online Catalog is a great place to start searching for books! Try a general keyword search on your topic, such as "military marriage." Our Online Catalog is connected to over 50 other libraries in Mississippi. 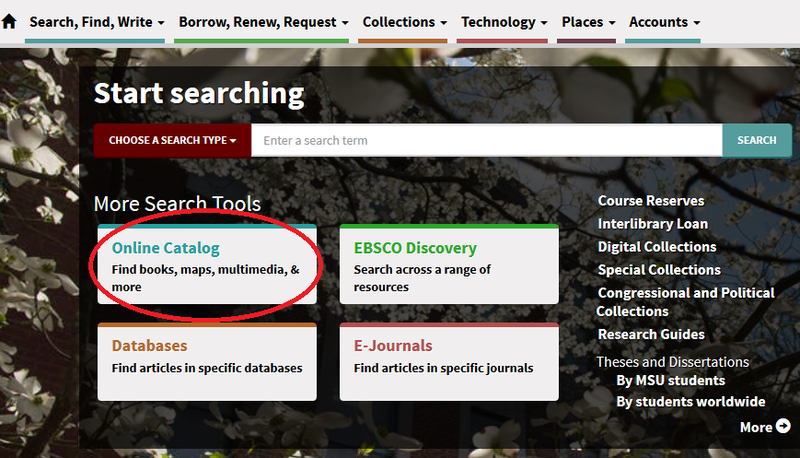 If you prefer to see only books we have here at MSU, you can start you search by selecting dropdown menu option "MSU Collection." We also have an online tutorial on how to find books. If you are needing more advanced help, please don't hesitate to live chat, call, email, or tweet a librarian!